I don't know what I would do without her. Besides being born she's the best thing that's ever happened to me. Comments for She Really is Increda-bull! These dogs are so great!! 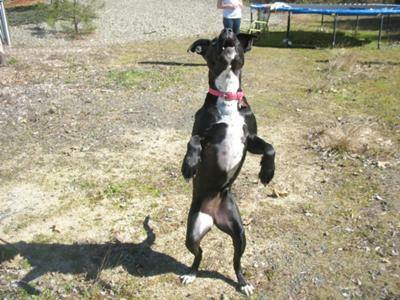 I'm glad to see a happy Pit in Oregon, as we are here also, and we see so many that are just dumped or left in shelters. We've been pulling as many Death Row's as we can, but it's so hard to have the room. PIT BULLS ARE INCREDIBLY BEAUTIFUL, LOYAL, AFFECTIONATE, LOVING AND THE BEST BUDDIES YOU COULD EVER ASK FOR! SOME MUCH ABOUT THEM IS SO FALSE AND WRONG! TRY ONE; YOU'LL LOVE THEM!!! !